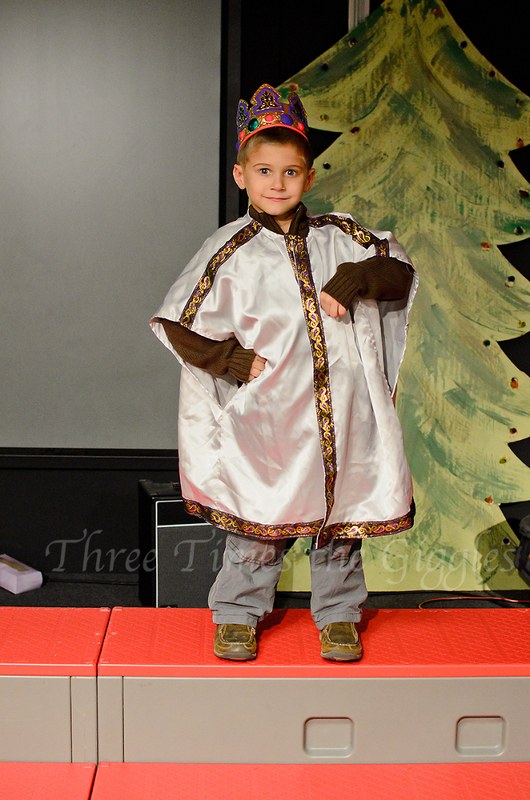 In the final of the Christmas themed posts, I give you the boys’ stage debut! 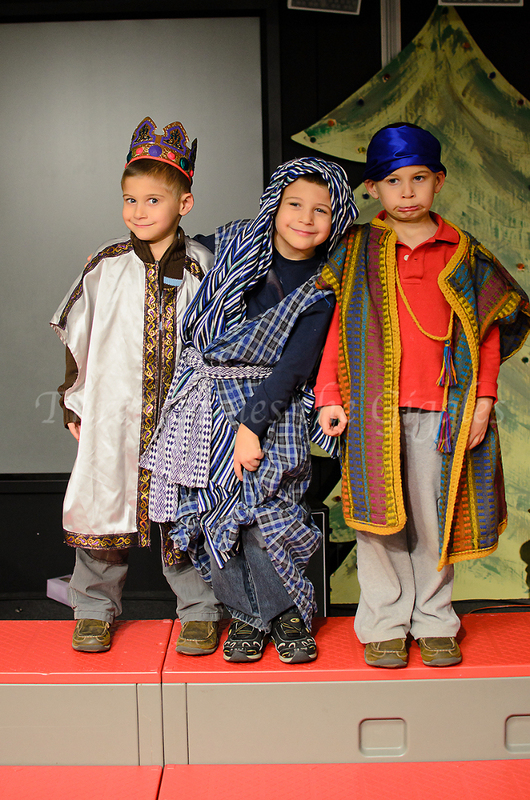 A week before Christmas, the preschool where the boys attend had their annual Christmas show. 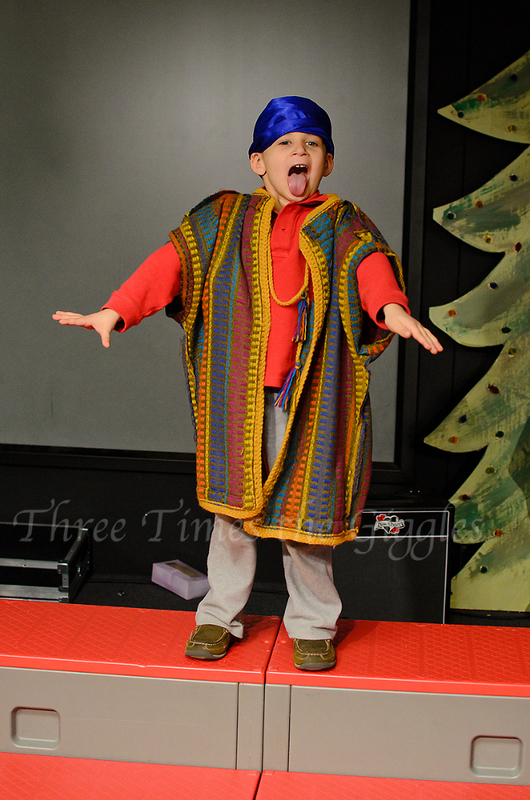 Each of the classes sings a couple of songs, and the pre-K class acts out the Christmas story for everyone! The boys were pretty excited about it, and then were even more excited when the pre-K class was asked to come early to school that day and perform it at the morning show (for the classes that meet in the morning only) also. Think they might be their father’s kids? Ha! Ty was one of the kings, and struck a kingly pose for me. 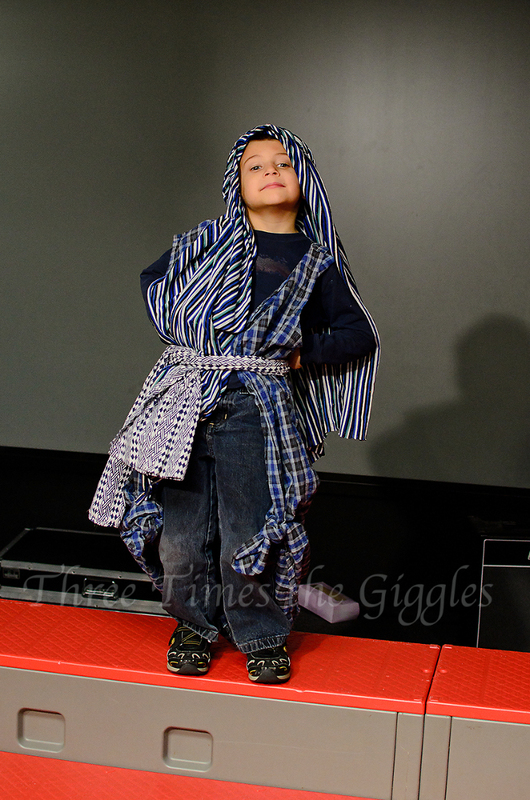 Chase was Joseph, with an attitude! I even have a little video footage for you all! I didn’t realize part of the play was going to happen 2 feet in front of me, so my “perfect” spot to see backfired slightly when Chase & Jackson delivered their performance. Chase is the only one of the boys to have no lines, but he did a mighty fine job “insisting”!